We offer wide range of BOD Incubators which are especially designed for biological Oxygen demand determination & other applications, Serum studies & Enzyme assays test. Our extensive range of BOD Incubators has been designed especially for biological Oxygen demand determination & other applications like general incubators, Serum studies & Enzyme assays test. We can also customize the BOD Incubators to suit the varied requirement of the clients with in stipulated time frame. Built in Temp Deviation Safety thermostat for overshoot Temp. HRC Fuses for compressor heater & mains Time daily circuit for safety of compressor. 50 x 50 x 70 Cm. 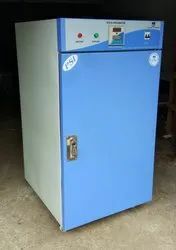 Our extensive range of BOD Incubators has been designed especially for biological Oxygen demand determination other applications like general incubators, Serum studies Enzyme assays test. We can also customize the BOD Incubators to suit the varied requirement of the clients with in stipulated time frame. Invoice prior to dispatch from our factory. 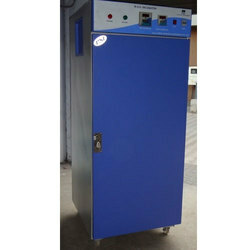 We are offering Cooling BOD Incubator to our Clients. Full Length inner Glass door permit inspection of with out disturbing the Temp. Temp. Controlled by solid State Digital controllers housing all the control with PT-100 sensor illumination light are provided for viewing. CFC Free hermetically sealed compressor provide temp. For below ambient condition. Air circulation fan for maintain Temp. Uniformity through out the chamber. To work on 230 volts 50 H2. Safety Features: Built in Temp Deviation Safety thermostat for overshoot Temp. Cut off system. HRC Fuses for compressor heater & mains Time daily circuit for safety of compressor. Special Care: A suitable K V. A. Servo stabilizer is strongly recommended.